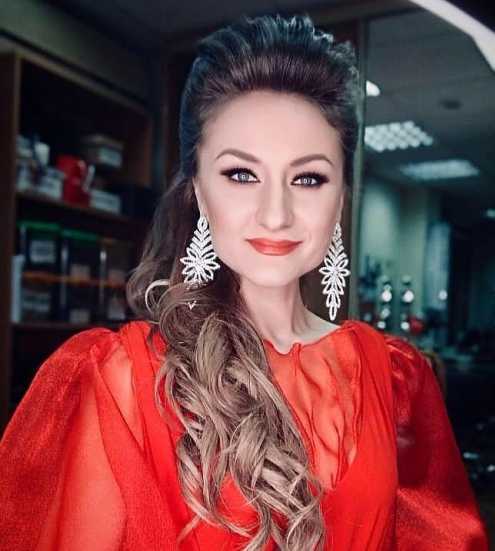 Russian soprano Maria Buinosova made her operatic debut in Galina Vishnevskaya Opera Center in 2013-2015 where she performed the part of Gorislava in M.Glinka “Ruslan and Ludmila”, Tatiana in P.I.Tchaikovsky «Eugene Onegin», Micaela in G. Bizet “Carmen”, Ksenia in M.Musorgsky “Boris Godunov” and Marfa N.Rimsky-Korsakov “Tsar’s Bride”. In 2015 Maria sang the title role of Gerda (“The Story of Kai and Gerda” by S. Banevich) at the Bolshoi Theatre where she received critical and public acclaim and was soon after invited as a guest soloist where she regularly sings Marfa in “Tsar’s Bride” by N.Rimsky-Korsakov. Later this year she was invited to the Mikhailovsky Theatre in St.Petersburg where during the season of 2016-2017 she sang the part of Violetta in «Traviata», Nedda in «Pagliacci», Pamina in «Die Zauberflote» and Contessa in «Le Nozze di Figaro». In September 2017 Maria was invited to the Novaya Opera Theatre in Moscow. Among the upcoming debuts are Giulietta from «Romeo and Guilliette» Sh.Gounod, Gilda from "Rigoletto" G.Verdi. Maria Buinosova is a finalist of Francisco Viñas International Competition in 2016. In 2017 Maria became a finalist in the National Television Opera Competition called «The Big Opera» made by the «Culture Channel».